Periscope on PC – Periscope is the live video app developed by Social media giant Twitter. It is a great platform to experience the world through some one else’s eyes. Periscope is the best app to do this. Now in this detailed guide, we will let you know how to Download Periscope on PC and use it on your laptop. Periscope initially developed by Kayvon Beykpour and Joe Bernstein for Android and iOS platforms. But before it’s launch in 2015, Twitter acquired it. Periscope has taken video calling to the next level and built a sophisticated platform for video sharing with the community. Periscope PC is very popular among celebrities and politicians. It helps you to reach you to the masses. Getting bored of regular stuff on YouTube? Just turn on periscope and get the best visuals of space exclusive from NASA. Interested in Pencil arts or musical stuff? Periscope has lot of such live broadcasters always. Tune to your favourite topic and enjoy watching things in live as they happen. After the launch of periscope, there are more of such apps were developed. Even social media platform Facebook has released Facebook Live Streaming, which is similar to Periscope. 1 Periscope on PC? Is it available? 3 How to start Live Broadcast with Periscope PC version? Periscope on PC? Is it available? Periscope is available to stream only from Android and iOS apps officially. It has its own web version where you can browse through all the featured videos and live streams of your interest. However you can’t initialise a live stream and broadcast to your followers. But not to worry. We will help you get things done and use Periscope on PC as well. Even though there is no official desktop version available, you can always use any third party applications to download periscope for PC and start a live video from your laptop. Android emulators enables us to download and install any Android application on our laptop with ease. You just need to install any emulator start using Periscope on PC. Not only Periscope, you can play your favourite Android games like PUBG for Laptop Windows 10/8/7, Mini Militia for PC, Temple run Game for PC etc. with these emulators. Periscope is a must have app on every smartphone. You can share and cherish memories with your community using Periscope app. It is one of the leading social media app with around 50,000,000+ app installations and 4 star average user rating in Google playstore. Now let’s see how we can install Periscope on your PC with step by step guide. As mentioned earlier, we are gonna use Android emulators to Download and Install Periscope on Laptop. There are tens of emulators available on the internet today. We will list down the top 2 best ones and will guide you through a detailed process to install Periscope for PC. Bluestacks is the most popular emulator loved by million of gamers and android enthusiasts. You can play high end games like PUBG without any issues on Bluestacks emulator. So without much ado, let’s jump into How to Install Periscope on PC using Bluestacks Android Emulator. Step 2: Now launch the Bluestacks app once installed on your PC. Initially it may take some time to load based on your system configurations. Step 3: Once it is opened, go to System Apps / Installed Apps. Step 4: You will find Google Playstore app icon there. Just click on that icon to open Google Playstore on Bluestacks. Step 6: Find the official Periscope app by Twitter Inc. and click on Install option. Step 7: Based on your internet connectivity, it takes some time to install the Periscope app on PC. After successful installation, you should be able to see Periscope app icon on Bluestacks. Just double click on the Periscope app icon to launch the app. Voila! You have just installed Periscope on your PC. Now you can just login to your Periscope account or create a new account and start a live video right away. These are the simple steps to be followed to install Bluestacks and Periscope on Laptop. There are few pros and cons associated with this method. Bluestacks is a high end software. So if you have system with low configuration system, you may end up with frequent struck while playing games like PUBG. 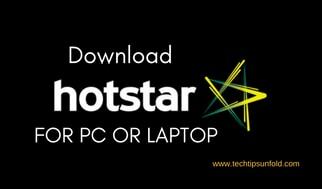 Make sure your laptop meets the recommended configurations to install Bluestacks. On a positive note, using Bluestacks App player, you can run any of your favourite app available on Google Playstore. Bluestacks is also available on Mac platform as well. Read Also : Is Bluestacks Safe to Use on Mac or Windows? Memu Play is another best emulator developed exclusively for gaming purposes. You can use it for installing apps like Periscope as well. So here in this method, we are going to use Memu Play Emulator and install Periscope on Laptop. Open the MEmu Play app player after installation on your laptop. Find Google Playstore on the Home screen of MemuPlay. Click on that. Sign in with your Google account if it asks for login. Search for the App you want to install on Memu Play. In our case, search for Periscope. 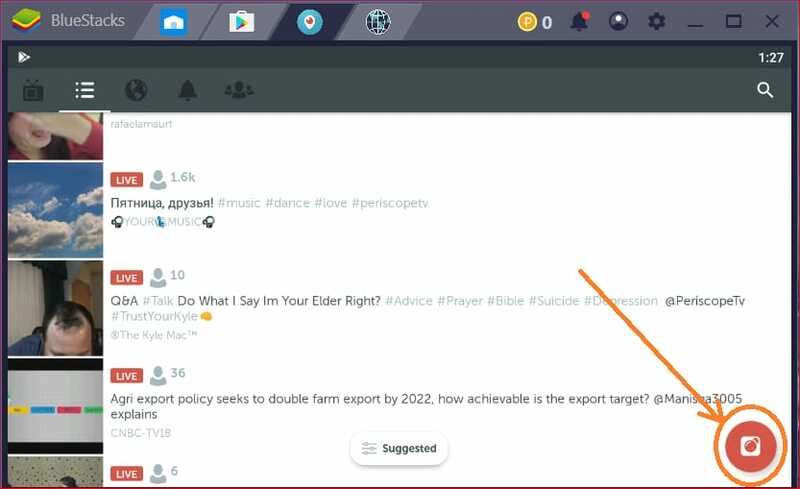 Identify the official Periscope app by Twitter Inc.
Click on the Install button and you should be able to see Periscope icon on MemuPlay in few seconds. So this is the simple and easy to follow steps to Install Periscope for PC Windows or Mac using MemuPlay emulator. You can even choose any of the other emulators. But I found Bluestacks and MemuPlay popular and extremely fast. Now let’s see how we can start a live video on Periscope PC using Bluestacks and different options available to share the videos with the community. How to start Live Broadcast with Periscope PC version? Once you have installed Periscope app on PC, you can use it pretty much the same way you use Periscope on Android or iOS smartphones. The whole process is very simple and easy to follow. Suppose let’s say you have installed Bluestacks emulator to use Periscope on PC. Just do follow the below steps to Live broadcast the video using your Periscope PC version. Step 1: Now just open the Periscope app on Bluestacks after installation. Step 2: Initially it will ask you for login or sign up. You can use any of your social media account to sign up. Else if you already have account with Periscope, you can use that in PC version as well. Step 3: Now once done, Periscope will show some live videos that are relevant to the interests you have chosen earlier. Step 4: On the home screen, you will find a Camera icon at the bottom right corner. Just click on that. Step 5: It will asks you for Required Permissions. For broadcasting a video, Periscope PC requires access to camera, microphone and media storage. Click on Allow Permissions option. Step 6: Once done, you should be able to see GO LIVE option in red colour at the bottom of the screen. Just click on that to start a live streaming. You can have options like Share the video with public and other settings. You can customise whether someone is be able to comment or give hearts to your videos. If you haven’t logged in, you can not comment or respond with hearts. However you can watch the live stream if you have direct link to it on Desktop platform. Periscope is now available on Apple TV. You can experience the live broadcasts on your TV now. You just need to Download the Periscope App from App store and start using it. You will not be having an option to sign in or sign up to your existing periscope account. You can just view the broadcasts and give hearts using siri remote control. But you can’t start your own broadcast video and share with your community. Every option is available for you in Apple TV including reporting a video, hide or un-hide comments, give hearts etc. But the only thing is you can only view other’s broadcasts. Total number of broadcasts touched 300 million on January 2018. 40 years of live videos are being watched by Periscopers each and every day. Periscope is one of the best platform the express and share the creativity or other videos with the community. But it is only available for Android and iOS platforms officially. So in this article, we have presented two methods to use Periscope on PC. We are going to mimic the android environment using Emulators and broadcast the videos right from your laptop. Both the methods listed are easy to follow. Just download whatever the emulator you want and then install Periscope for PC using Google Playstore. If you have any queries regarding Download and Installing Periscope App on PC Windows or Mac, do let us know through comments. Cheers!